One of the prominent features of the recent Activiti 5.21.0 release is ‘secure scripting’. The way to enable and use this feature is documented in detail in the Activiti user guide. In this post, I’ll show the details of the implementation and what it’s doing under the hood. 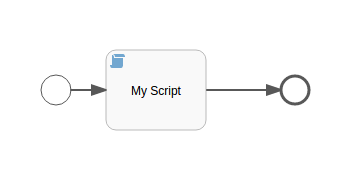 The Activiti engine has supported scripting for script tasks (and task/execution listeners) since a long time. The scripts that are used are defined in the process definition and they can be executed directly after deploying the process definition. Which is something many people like. This is a big difference with Java delegate classes or delegate expressions, as they generally require putting the actual logic on the classpath. Which, in itself already introduces some sort of ‘protection’ as a power user generally only can do this. However, with scripts, no such ‘extra step’ is needed. If you give the power of script tasks to end users (and we know from some of our users some companies do have this use case), all bets are pretty much off. You can shut down the JVM or do malicious things by executing a process instance. A second problem is that it’s quite easy to write a script that does an infinite loop and never ends. A third problem is that a script can easily use a lot of memory when executed and hog a lot of system resources. The process we’ll use here is trivially simple: just a start event, script task and end. The process is not really the point here, the script execution is. The first script we’ll try does two things: it will get and display my machine’s current network configuration (but there are obviously more dangerous applications of this idea) and then shutdown the whole JVM. Of course, in a proper setup, some of this will be mitigated by making sure that the user running the logic does not have any rights that matter on the machine (but doesn’t solve the resources hogging issue). But I think that demonstrates pretty well why giving the power of scripts to just about anyone is really bad security-wise. It outputs information about all my network interfaces and then shutdows down the whole JVM. Yipes. That’s scary. The solution to our first problem is that we need to whitelist what we want to expose in a script, and have everything blacklisted by default. This way, users won’t be able to run any class or method that can do something malicious. Instead of using the default Nashorn scripting engine, we instantiate the Nashorn scripting engine ourselves in a ‘SecureScriptTask’ (which is a regular JavaDelegate). Note the use of the usage of jdk.nashorn. * package – not really nice. We follow the docs from https://docs.oracle.com/javase/8/docs/technotes/guides/scripting/nashorn/api.html to make the script execution more secure by adding a ‘ClassFilter’ to the Nashorn engine. This effectively acts as a white-list of approved classes that can be used in the script. When executed, the script above won’t be executed, an exception is thrown stating ‘Exception in thread “main” java.lang.RuntimeException: java.lang.ClassNotFoundException: java.lang.System.out.println’. Note that the ClassFilter is only available from JDK 1.8.0_40 (quite recent!). You can guess what this’ll do. This will run forever. If you’re lucky, a transaction timeout will happen as the script task is executed in a transaction. But that’ far from a decent solution, as it hogs CPU resources for a while doing nothing. Between the following example and the previous one a lot of time was spent to make Nashorn somehow intercept or cope with the infinite loop/memory usage. However, after extensive searching and experimenting, it seems the features simply are not (yet?) in Nashorn. A quick search will teach you that we're not the only one looking for a solution to this. Often, it is mentioned that Rhino did have features on board to solve this. Being stuck there, the search led us to the Rhino engine from Mozilla. Since its inclusion in the JDK a long time ago it actually evolved further on its own, while the version in the JDK wasn't updated with those changes! After reading up the (quite sparse) Rhino docs, it became clear Rhino seemed to have a far richer feature-set with regards to our use case. The ClassFilter from Nashorn matched the 'ClassShutter' concept in Rhino. The cpu and memory problem were solved using the callback mechanism of Rhino: you can define a callback that is called every x instructions. This means that one line could be hundreds of byte code instructions and we get a callback every x instructions .... which make it an excellent candidate for monitoring our cpu and memory usage when executing the script. If you are interested in our implementation of these ideas in the code, have a look here. [JavaPackage java.lang.Runtime]. It is not a function, it is "object". The process definition is just a start -> script task -> end. The script task simply adds to variables and saves the result in a third variable. I ran this five times, and got an average of 2.57 ms / process instance. This is on a recent JDK 8 (so Nashorn). Did again five runs … and got 1.07 ms / process instance. Which is more than twice as fast for the same thing. Of course, this is not a real test. I assumed the Rhino execution would be slower, with the class whitelisting checking and the callbacks … but no such thing. Maybe this particular case is one that is simply better suited for Rhino … If anyone can explain it, please leave a comment. But it is an interesting result nonetheless. Nashorn has a more significant startup cost than Rhino and you appear to always create a new NashhornEngine instance. This means that all the internals need to be re-created and – judging from the bit of code I see – none of the internal bytecode caches may be used to improve the next execution of the same script. Additionally – though I don’t believe this to be the case in your simple test – using a custom bindings object per invocation can end up in quite a few re-linking and even re-compilation of script fragments, i.e. when optimistic assumptions don’t hold true. Unfortunately there aren’t official performance guides / blog posts out there to outline the DOs and DON’Ts in one article. My information is from own experience writing a Nashorn engine for Alfresco (https://github.com/AFaust/alfresco-nashorn-script-engine) and running my own tests with various configurations. Nashorn typically outperforms Rhino beginning somewhere between the 10th to 25th execution (script-dependant) when you re-use the engine (same approach for both), and the specific difference is dramatically influenced by re-use of bindings and avoidance of (excessive) re-linking. Proper use of internal script / bytecode caches is also essential. Doing an “eval()” with an anonymous scriptlet is the WORST thing you can do (in both Rhino and Nashorn), especially if all the scripts you execute are executed by “eval()”. Rhino is affected less by this because it either runs in interpreter mode or – when it’s not – its bytecode generation mechanism is not as complex (not as tightly integrated into JVM as well). Using a ClassFilter / ClassShutter alone doesn’t necessarily prevent the issues you outlined. There are some very simple ways this can be circumvented, especially with reflection. In Nashorn you have support for using the Java security manager facility to restrict what scripts can do, and can technically just deny the permission to execute some of the sensitive operations and even prevent use of reflection. There are lots of things to consider for both engines. Unfortunately Rhino does have the advantage in documentation and pre-existing community to answer questions / problems quickly. Due to the still evolving nature of Nashorn you sometimes need to take a look into code or seek confirmation / input from developers (they are quite active / attentive on Twitter and StackOverflow, and very helpful). @Axel: thanks for your (as always) detailed comment. Let me try to respond to them one by one. – I’m actually very interested in making it work on Nashorn. And for that matter, Groovy too. – The startup cost of the Nashorn engine could indeed be what is playing here. We’re using the ScriptEngine class for the JDK and it doesn’t support caching for Nashorn last time I checked. We could go around this of course by working with Nashorn directly (as we do with Rhino here). However, I couldn’t find anything that would show that this would be thread-safe, as in that scripts for multiple concurrent process instance are actually isolated from each other. If you have more details how this caching works such that the scripts are thread-safe, please let me know. I’ll also look into your github repo you pasted above. – I did tinker with reflection in combination with the class shutter, but I couldn’t find something that would break it (but I did not dive too deep in it). I’m very interested if you have a sample or ideas how this could be circumvented. The security manager does sound good. – If Nashorn would have a instruction callback mechanism, a lot of the downsides would already be mitigated. Thread-safety with regards to the Nashorn engine evolves primarily about the thread-safety of the execution scope / binding. Any other part of the engine must already be thread-safe or you couldn’t (shouldn’t be able to) execute different scripts with different bindings in parallel. It is basically the same as with the Rhino engine and its execution scope (default Alfresco i.e. uses a shared-scope object as the prototype of the execution scope, to avoid concurrency issues). Even though my script engine is very complex and makes use of AMD module loading concepts, it still supports simple scripts that expect input to be available in the global scope. This is achieved by using a global __noSuchProperty__ hook (noSuchProperty.js) that looks up potential root objects that developers expect from the legacy Alfresco script engine (Rhino). Caching of script sources at runtime is transparently done within the script engine even if you don’t re-use it for multiple executions – class/bytecode caching is likely to be another matter, depending on the configuration of the engine (an engine may use an isolated class loader for scripts). There also is support for persistent code caching via the “-pcc” option you can pass to the Nashorn-specific script engine factory (service-context.xml L8). I have not been able to reliable measure the impact of this after a JVM restart, but it certainly does not mean the 1st execution after start is as fast as the last before shutdown, due to normal Java JIT / hotspot optimization not having kicked in yet. In order for the cache to work efficiently, the script should not be anonymous as the name/URL of the script – along with its actual source for “eval()”-ed scripts – is part of the lookup key. Scripts loaded from an URL-addressed resource additionally benefit from lastModified checks to avoid recompilation to avoid potentially expensive loads of remote source. The script name can be provided via a execution scope attribute (NashornScriptProcessor.java L630). If you use the Nashorn load() function or use an URLReader as script source, this is transparently handled without the need to modify a shared data structure. P.S. : Spam protection prevented me from posting real links for all the source samples in my GitHub repository.